No matter whether you are a publisher looking to display ads on your website or an advertiser looking to spread the word about your product or service, you need to decide which types of ads suit your purpose. The costs and earnings potential of each type of ad varies, which is why it’s worth looking into each of them to see which ones fit your budget as an advertiser, and which offer the best earning potential as a publisher. Let’s take a closer look at 5 common ad formats. Without a doubt, display ads are the most common type of ad that you will see online. They are the banners that are on just about every website that you visit nowadays. 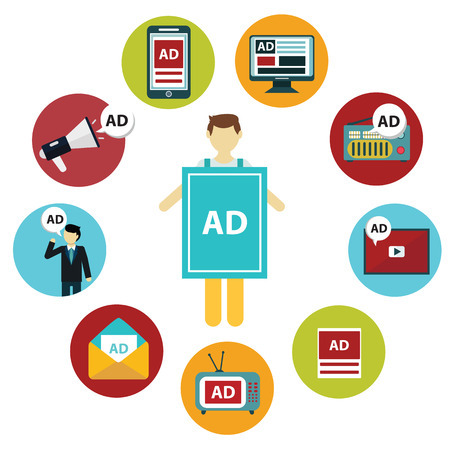 The beauty of display ads is that they are very common and will work with all publishers, advertisers and ad servers. While some advertisers are happy with static banner ads, others prefer animated and interactive ads that are better at catching the eye of website visitors. Visitors can click on the banner ads to view the advertiser’s landing page. Showing ads that are relevant to the audience of a website is crucial, and search ads are perhaps one of the most targeted options. The chosen search ads are displayed based on the keywords that the visitors enter while using a search engine. If what you offer is the same as what they are looking for, it is very likely that they will click on your ad and you have a chance to convert them into customers on your landing page. These ads are great for websites that do not necessarily have enough space for larger banner ads or other ad formats. The text advert can look like a part of the content and can change its ad copy dynamically. There are different types of text ads. Some are text links. Some are combinations of text and image. Some are displayed as highlighted pieces of text. These ads can be dynamic in that rolling the cursor over the highlighted words triggers an ad window with more details about the ad. This is an ad format that is traditionally very common on TV. It is really gaining ground on the Internet, mostly because there are more and video publishers. There are different ways to display video ads. Pre-roll, mid-roll, post-roll, and overlay ads are some of the available video ad placements. Another type of ad that is becoming very popular due to the fact that more and more people are going online via mobile devices. The beauty of these ads is that they are responsive, which means that they will automatically adjust their dimensions to fit the size of the screen that they are being viewed on. This can be invaluable when targeting a mobile audience using a wide variety of devices.